When you think about the word “justice”, what comes to your mind? One of the Merriam-Western dictionary definitions of justice is conformity to truth, fact, or reason: CORRECTNESS, and it also says that justice is the maintenance or administration of what is just especially by the impartial adjustment of conflicting claims or the assignment of merited rewards or punishments. Yet, how often is true justice really applied to everyone? According to the Justice Index, Justice depends on having a fair chance to be heard, regardless of who you are, where you live, or how much money you have. At a minimum, a person should be able to learn about her rights and then give effective voice to them in a neutral and nondiscriminatory, formal or informal, process that determines the facts, applies the rule of law, and enforces the result. But what happens when, in America, people can’t afford a private attorney? People face really high stakes in the civil justice system, they can lose their children, they can lose their home, they can lose their lives without having legal help to get them through complicated legal proceedings, and while people can turn to private lawyers — there are about 40 of those for every 10,000 Americans — they are often prohibitively expensive, even for middle-class families. They often charge over $300 dollars an hour. The consumer cost for most litigation is outrageous! Much of that comes from the behavior of litigants and their desire to crush the other side. Much of the money spent goes to experts and court reporters and even Court fees. But you would not like a society without private, independent lawyers, free to vindicate the rights of citizens. As a practical matter, the private bar is one of the checks and balances against both government excess and anarchy. But to those who can’t afford it, real justice is hard to reach. Another obstacle to justice is that, according to statistics, there is less than one civil legal aid attorney to help every 10,000 Americans living in poverty. For that reason, many instead represent themselves and rely on their own abilities to get through the maze of the legal system. In three-quarters of cases, at least one party — more likely to be someone like a tenant or a debtor — is self-represented. In America and other countries, the justice system was designed to protect the citizens, keeping us from injustice from ourselves, from our neighbors, and from total strangers. In theory, this will be ideal, but unfortunately, reality rarely ever lives up to such noble ideology. Lord Acton said: “Power corrupts. Absolute power corrupts absolutely.” As long as there are mortal men with ulterior motives (which defines a large preponderance of mankind), there will be corruption and abuse. The justice system has seen its fair share of abuses since its inception. These abuses in power clearly stand against the ideals of the nation. However, we are men and thus tend to err and deviate. There is an obvious need to create a remedy for the system so that it may live up to its noble idea, but how to do it? The number one thing towards rectifying the situation is through knowledge. The Bible says: “The truth shall set you free” (John 8:32), so how can there be freedom when there’s no truth? In the pursuit of justice, the people should know and be aware of their rights. But what happens when, in a court case, the truth and facts are changed? I believe one of the leading causes of justice wrongfully applied in practice is the power given to police. A few years ago one of my most intelligent, brilliant, talented, funny and goal oriented cousins was killed by the Scottsdale police in Arizona. Was he a criminal? Was he involved in drugs, gangs or any other illegal activity? Indeed NO! He was an honor roll college student who was sharing an apartment in an area full of corrupt police officers that really didn’t care about who they blamed for when a police report was filed in the area. My cousin was simply near the place reported, and the police didn’t have the ability to proceed fairly and according to justice to find out if he was the one they were looking for because of the call they had received. At 18 years of age, with many dreams and goals still pending, my cousin was killed with a 40 caliber shotgun with explosive bullets, and after that, he was left laying on the grass for over 24 hours. My uncle, who was a pastor and Christian minister, as well as the whole the family was seriously devastated. The police answer? We made a mistake. Anyone in jail for it? None. In this sense, and according to reports, police departments make many mistakes which not only involve killing and blaming people by mistake but also filing false reports, which is found in California Penal Code 118.1. Police officers are granted enormous power. Obviously, we give them the power to arrest people and take them to jail, but cops also have the power of writing police reports (or crime reports) and sending these reports to the district attorney. Prosecutors rely on these reports to decide whether to file criminal charges and what charges to file. What happens when cops lie? What happens when they file false police reports? The simple answer — sadly — is that it can cause (and does cause) innocent people to get wrongly prosecuted, convicted and jailed. Lessen the power of prosecutors. The practice of threatening more serious charges to force people to plead guilty to lesser ones is inherently unjust, and there are many examples of innocent people pleading guilty due to the risk of being charged with more serious crimes. Have investigations of potential police officer misconduct performed at the state level by non-local officials. Local District Attorneys work too closely with police to be impartial, and the conflict of interest in having police investigate themselves should be obvious. Cases like the John Geer case, among many others, make this need apparent. Repeal unnecessary laws and institute a sunset provision in all new laws. Books like Three Felonies A Day show that the sheer number of laws on the books makes it impossible for any citizen to know what the law is and comply with it. When everyone commits felonies on a regular basis, anyone is subject to imprisonment at the whim of a government official. Sunset provisions ensure that outdated laws expire without specific action to repeal, as well as keep legislatures busy renewing laws so that they have less time for coming up with new ones. Eliminate the death penalty for all cases without direct physical evidence. While many would say simply to eliminate the death penalty altogether, I simply would advocate that its use be narrowed to prevent the innocent from being sentenced to death. One way to do this is to eliminate the death penalty from cases that depend entirely on eyewitnesses and/or circumstantial evidence. Abolish public sector unions. There is a serious problem when we have unions of corrections officers lobbying for more stringent sentencing in order to increase membership, such as is the case in California. (Crowded Prisons, Unions, and California Three Strikes: Why We Can’t Just Build More Cages) Police unions make it more difficult to fire bad cops. None of this is in the public interest. Justice is one of the most important moral and political concepts. Some philosophers of all times like Plato said that justice is a virtue establishing rational order, with each part performing its appropriate role and not interfering with the proper functioning of other parts. 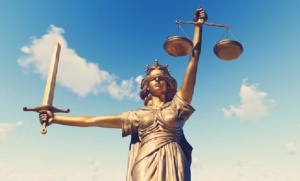 Aristotle said that justice consists in what is lawful and fair, with fairness involving equitable distributions and the correction of what is inequitable. For Augustine, the cardinal virtue of justice requires that we try to give all people their due; for Aquinas, justice is that rational mean between opposite sorts of injustice, involving proportional distributions and reciprocal transactions. In today’s world, even though in theory laws are created with the best intentions, in real practice, corruption and injustice seem to be the norm. Martin Luther King Jr. said, “Injustice anywhere is a threat to justice everywhere.” Therefore, as long as injustice persists and the interests of government and the legal system surpass the interest and welfare of the people, true justice would not be found.